The Digital by Design Team is located on the first floor in Stopford house, walking on to the floor there is a buzz as conversations continue all through the working day. Using large whiteboards to monitor and check on progress the teams of Council staff and external people work together to ensure progress is being made whilst ensuring skills are developed and transferred. 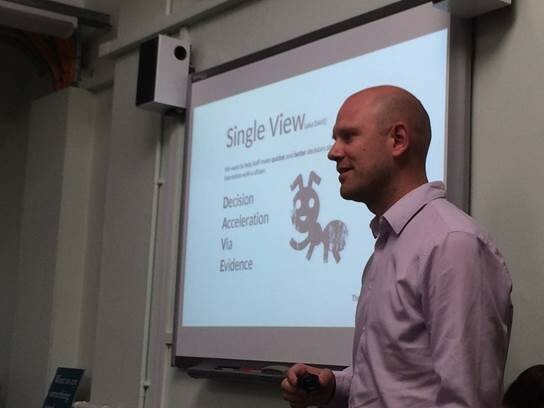 The third delivery Showcase took place this week, with more interesting updates being delivered about progress across the project. 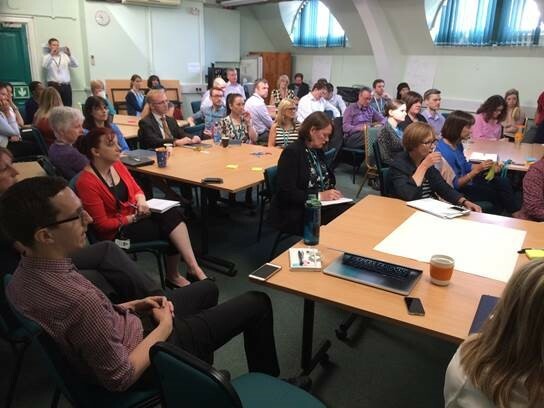 The room was full to capacity with people from across service areas keen to hear what’s been happening. So…… what’s the latest from the teams? Delivery teams and cross-cutting support teams working together are now well-established and we are committed to keeping the Agile model of working in place beyond the delivery of this current IT programme. To make sure we have the very best people for the job, we are working with teams made up of Council and external staff. We are making the most of this opportunity by learning from our external colleagues and developing new skills. The single view work stream has been testing the ability to pull out information on citizens from existing council systems and match the data. Ensuring there are no duplicates in the system to ensure there is only one record for all the contacts they have had. The other key area of work we are doing is talking to services to map what data is currently shared with other teams so that we can understand what levels of permissions will be required within the single view. It is vital that only relevant data is shared and we are aware this is a high priority for services that hold sensitive information. We know that the way our customers contact us is no longer just through the traditional methods of phone and face to face interviews. Social media as well as live chat is changing the shape of how we interact and any new contact management system needs to fulfil those requirements as well as being flexible enough to keep up with future developments. There are three areas of the Council that require a new customer contact system fairly quickly and demos have been taking place from four software suppliers to help us carry out an options appraisal to decide how to move this forward. The next step is to carry out Software trials using the START team requirements to build a proof of concept in each system and compare results. The new look Healthy Stockport website has been launched giving an enhanced look and feel for the various articles and topic pages. This is an example of the new style guide that will eventually be used across Stockport’s webpages. Waiting in the wings are more articles that have been prepared for the Healthy Stockport and stockport.gov.uk site. The new content and articles provide a much more efficient way in helping citizens by simplifying access and improving understanding. The last two weeks has been a continuation of further analysis and development of Ofsted outputs. In order to do this we have extracted a significant portion of Early Intervention and Safeguarding data into a Data Warehouse (around 25 million records a night!) and we have also developed, tested and deployed a warehouse archiving process. By creating a process of transforming data into easily reportable formats it will be quicker to find the answer to Services’ queries and turn information into reports and outputs from the data warehouse. The team has been working on the design of a user “dash board”, sketching out a working prototype ready for user testing. The focus has been to apply UX styling to functional stories already built. We want to ensure a collaborative approach is taken, designing with citizens not for citizens and responding quickly to the ongoing feedback received. 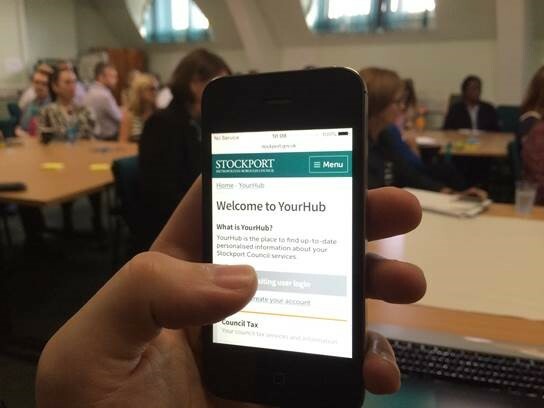 UX developers have been out and about in Stockport Town Centre, asking citizens to access the latest version of the citizen hub (this is currently the working title). A mobile phone was used to demonstrate the system. What they thought of the new visual style? How does the new navigation compare to the previous website? How readable is the new visual style in comparison to the old website? 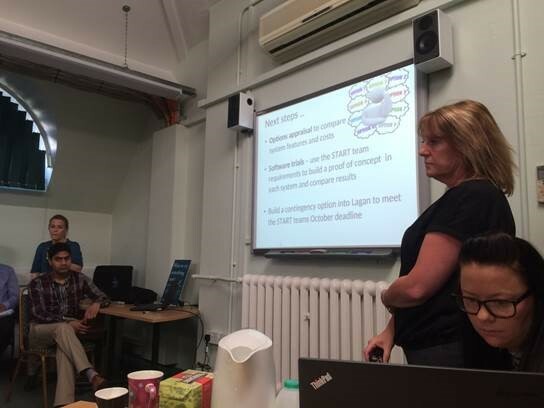 The UX team were also interested in how they actually use the screens, what order they carried out tasks in and what their understanding is of some of the headers being used. Can you locate your next Council Tax payment and the date its due? What does outstanding balance mean to you? How would you expect to log out of the system? How would you expect to register to access information on your Council Tax? They will continue with user testing every two weeks and with the feedback received can change the layout, design and wording of the screens. This rolling cycle of design and review will continue throughout the lifecycle of the project and will include consultation with community groups, staff and key stake holders.